Our menus are written by hand each day as we shop the markets, meet with our farmers, and develop new ideas. 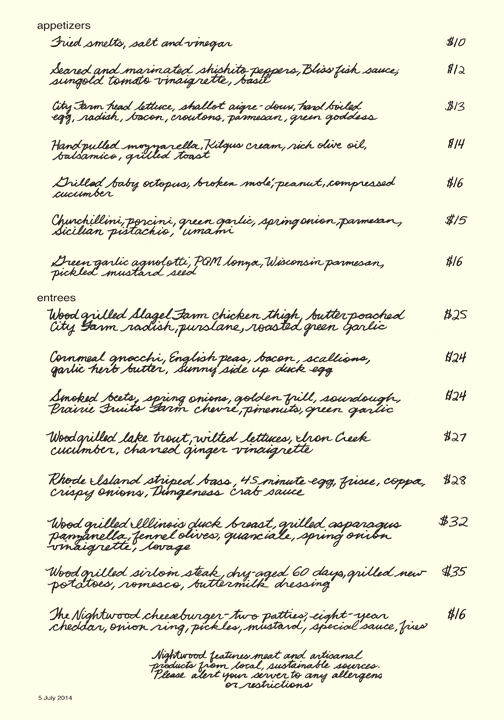 Here is a recent menu. For more information, please call the restaurant at 312-526-3385.